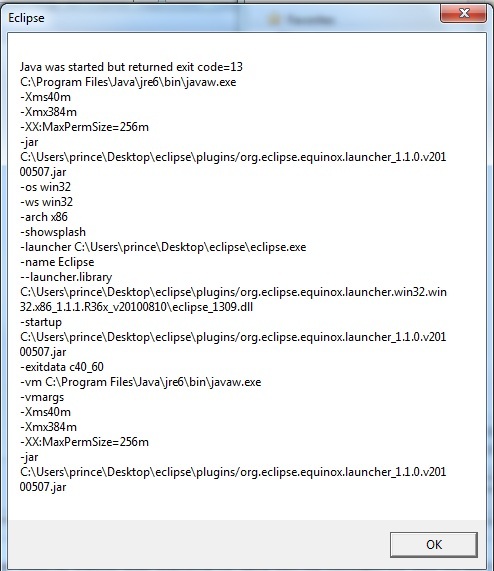 Sometimes You face your eclipse is not opening after installing some new java jre or jdk version. At the time of opening eclipse your got big popup error code 13 as per below image. - Do not worry. just Relex!!!!!!.... I will provide you a good solution and worked most of times. - Just open your eclipse folder as per below image. - Open eclipse.ini File in notepad or notepad++. - Add this two line as per your java jdk installation directory.